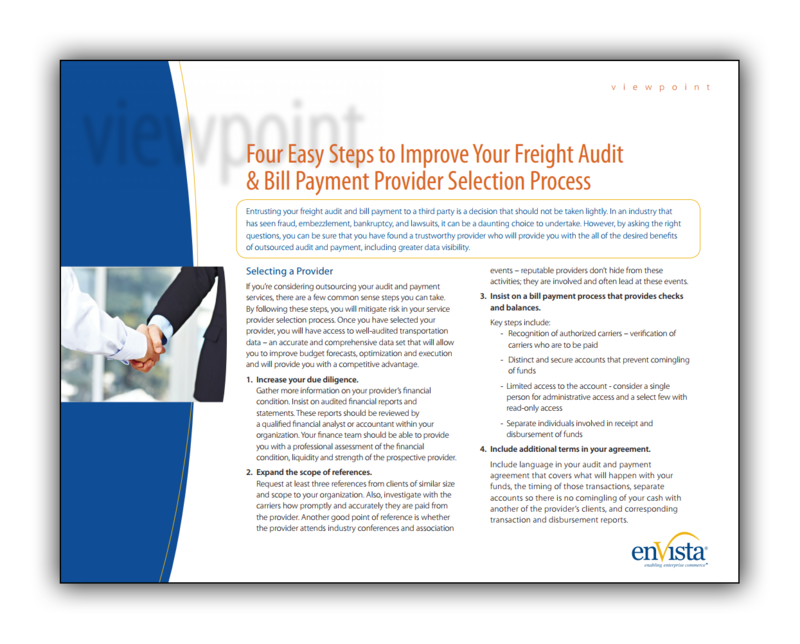 Entrusting your freight audit and bill payment to a third party is a decision that should not be taken lightly. In an industry that has seen fraud, embezzlement, bankruptcy, and lawsuits, it can be a daunting choice to undertake. However, by asking the right questions, you can be sure that you have found a trustworthy provider who will provide you with all of the desired benefits of outsourced audit and payment, including greater data visibility.